Yesterday an incident of eve teasing came into view in which a guy was accused of making a vulgar comment on a girl and when she threatened him that she will file a complaint, then instead of being afraid he was warning her of the consequences. But today we showed you the Facebook comment of accused Sarvjeet Singh as well as few other facts which are against Jasleen Kaur and hint at her being guilty while Sarvjeet being innocent. A new revelation in this connection will shock you to the core. 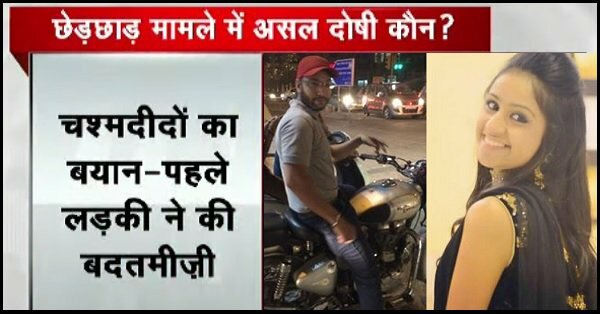 Eyewitnesses have come forward who claim that Sarvjeet Singh is utterly innocent and he did not misbehave with Jasleen. On the contrary, it is the girl who trapped and threatened him to bear the consequences when he would have a tryst with police and then he would understand. Below is the video which no Indian can miss to watch with regard to this case. In fact, it will serve as an eye-opener and probably put an end to such cases which give rise to feminism and cases augmented by blind media. What are your views on this case now? Now I leave this decision on you to judge who is right and who is wrong. Is the guy wholly and solely blameworthy? Share your views in the comments section below.